Hotel Parking: Valet parking is available at the Main Grand Hall entrance on east-bound Market Street. 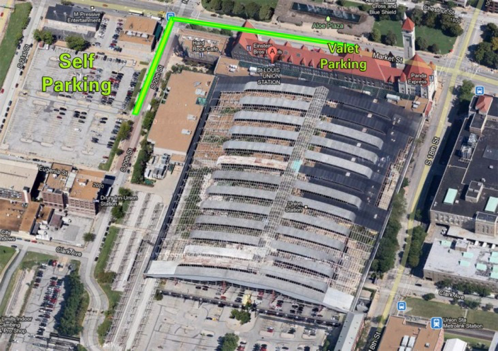 Self-park is behind Maggies O’Briens next to the hotel on 20th street and overflow is available in the South parking lot behind St. Louis Union Station (1 block away). Rental car counters are located in the lower level of Terminal 1 between Doors 12 and 17. Distance from Hotel: 15.2 mi. Take Interstate 70 East and exit at Memorial Drive East. At the third traffic light turn right onto Market Street. Follow Market Street to 18th Street and the hotel will be on the left. Amtrak offers a 10% discount off the best available rail fare to (St. Louis, MO) between (May 22, 2017 – June 01, 2017). 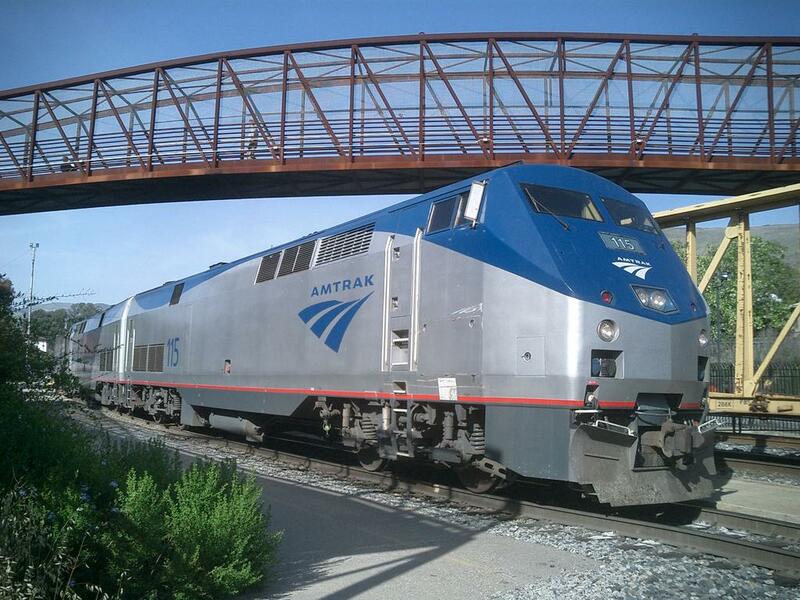 To book your reservation call Amtrak at 1 (800) 872-7245 or contact your local travel agent. Conventions cannot be booked via Internet. Please be sure to refer to Convention Fare Code X74E-969 when making your reservation. This offer is not valid on the Auto Train and Acela Service. Fare is valid on Amtrak Regional for all departures seven days a week, except for holiday blackouts. Offer valid with Sleepers, Business Class or First Class seats with payment of the full applicable accommodation charges. Chicago is organizing a Party Train to ISDC. Contact Larry [email protected] to get aboard. 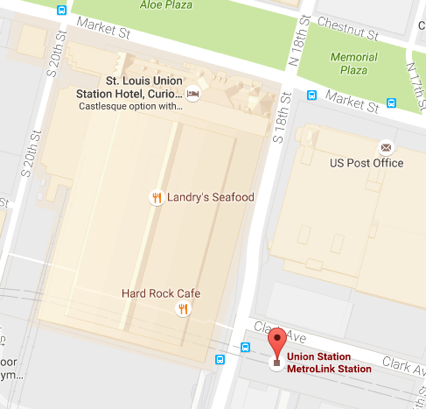 The Union Station MetroLink Station is located across the street from the Union Station Hotel. Economical, door-to-door, shared shuttle ride. Shuttles depart the airport approximately every 30 minutes or sooner. 20% off standard rates through May 22nd, 2017 using the special link. BOOK NOW, CLICK HERE! Or call 877-STLGOVAN or 314-222-5300 and reference ISDC2017. 1-877-STL- GOVAN (1-877-785-4682) Customer Service Representatives are available 24 hours a day. 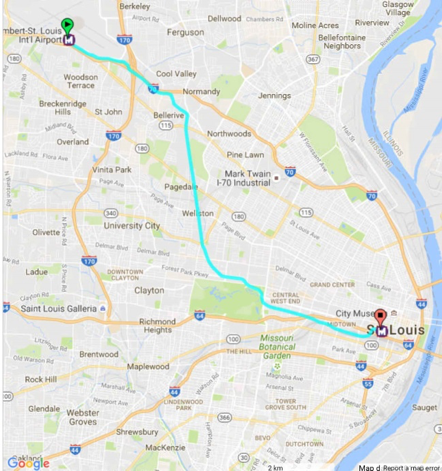 Shared ride shuttles leave St. Louis Lambert International Airport approximately every 30 minutes between 6 a.m. and 10 p.m. and begin servicing routes to the airport at 4 a.m. Shuttles outside these hours require reservations. Please check for availability. Reservations will guarantee a seat on the van for you and your guests. Shuttles to the airport require reservations. GO Best Express is the only official, shared ride shuttle company with counters located in both terminals. Coming to St. Louis, Missouri, USA from another Country? Having a U.S. visa allows you to travel to a port of entry, airport, or land border crossing, and request permission of the Department of Homeland Security (DHS), Customs and Border Protection (CBP) inspector to enter the United States. While having a visa does not guarantee entry to the United States, it does indicate a consular officer at a U.S. Embassy or Consulate abroad has determined you are eligible to seek entry for that specific purpose. DHS/CBP inspectors, guardians of the nation’s borders, are responsible for admission of travelers to the United States, for a specified status and period of time. DHS also has responsibility for immigration matters while you are present in the United States. Please study the U.S. Department of State website at https://travel.state.gov/content/visas/en.html to learn more about visas. Using this “visa-wizard” will help you determine which visa you need: https://travel.state.gov/content/visas/en/general/visa-wizard.html .